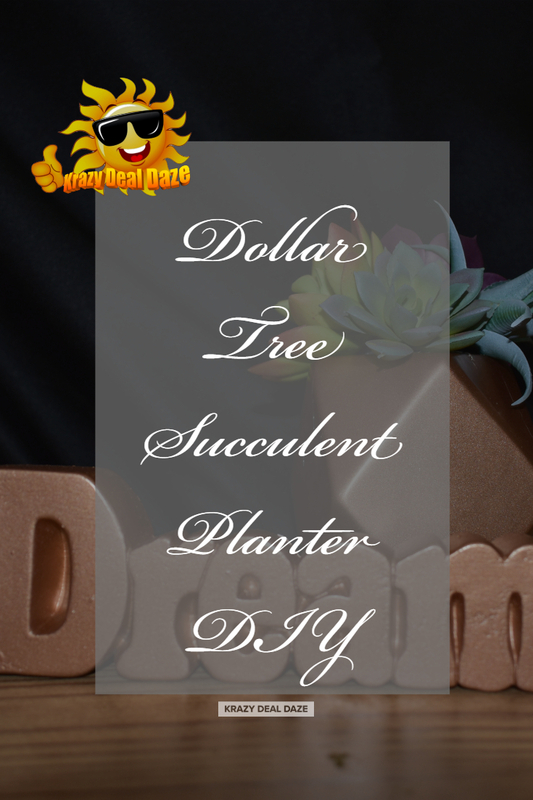 This Dollar Tree DIY was inspired by my daughter and her love of succulent plants. Not including the spray paint which we had left over from a previous project, this DIY craft cost only $8. See how I made it in the video below! Thank you for stopping by and checking out our DIY Dollar Tree Succulent Planter DIY, we hope you enjoyed! 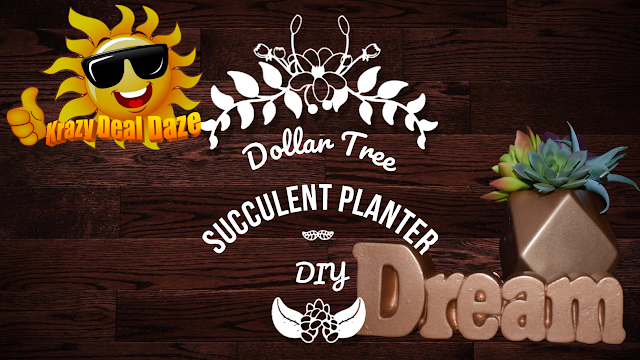 What’s your favorite go-to plant to brighten your décor? Be sure to let us know in the comments below! If you enjoyed this post, we’d be very grateful if you’d help it spread by emailing it to a friend or sharing it on Twitter or Facebook. Don't want to lose this? Pin it on Pinterest so you can get back to it later! That's so lovely! I like little projects like this especially during the summer when I have more time on my hands. I think it turned out really well. Great idea for DIY decoration! I love plants in my interior and will use this idea for sure! I love succulents as well, I think they are so charming and they really make me feel like I am in summer. Also this succulent planter DIY is perfect as well! I love a range of flowers but we tend not to have plants in the house as they don't survive long. I used to have aloes though. You're so talented! I personally love tutorial videos because is really catching and easy to follow along! This is super creative. Good to know the DIY craft cost only $8. Very affordable! What a great idea! And oh so easy to do with high impact. And succulents are so popular now. Very fun! i was just looking at ideas to do my room and wanted succulents in there so perfect timing! great video! Creative talent at display here. Nicr to see something this nice come out of nothing.